Love the decor and antique pieces. Quiet and loved the rooftop availability. The history of the building was charming. Large, comfortable rooms, great, very helpful staff. Lots of restaurants nearby. The hotel theme, it's not something you will find everywhere else. Bed was so comfortable. Nice upgrades and furnishings in general. Gorgeous building. Very nice location close to center. Very interesting furniture in old antique style.Nice staff. It's like living in a museum. Fantastic atmosphere. Great place to stay. Very cosy and vintage feeling. Definitely will visit it again! The apartment was extremely large, and the fact that they were located in a former large home gave it a rather palatial feeling. My wife said it reminded her of our stay at the Gritti Palace, although perhaps that's a bit over the top. Attractive, charming old building. The room was quite spacious. Staff was friendly and helpful. Nice and quiet. Everything. Loved the staff, the interior decorations, etc. 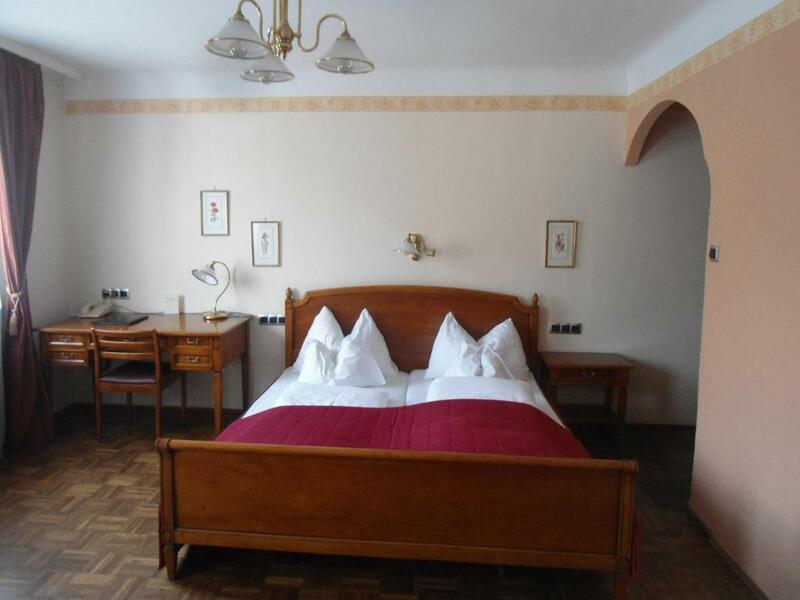 Lock in a great price for Hotel Apartment Rothensteiner – rated 9.1 by recent guests! 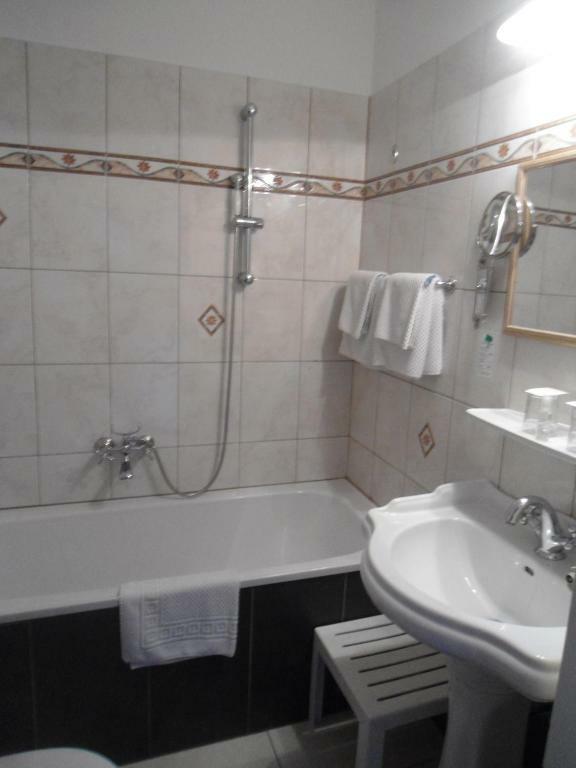 Hotel Apartment Rothensteiner This rating is a reflection of how the property compares to the industry standard when it comes to price, facilities and services available. It's based on a self-evaluation by the property. Use this rating to help choose your stay! 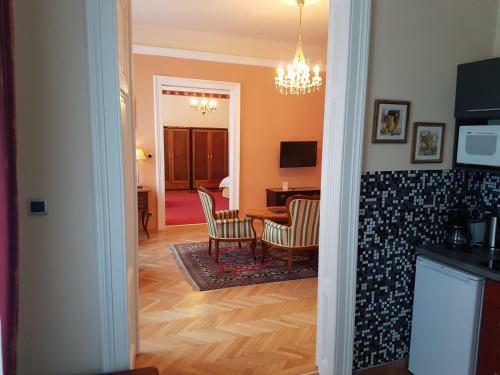 Offering spacious rooms and apartments equipped with period pieces of furniture, Hotel Apartment Rothensteiner enjoys a central location amid the trendy seventh district of Vienna. The Ringstraße boulevard is just a 10-minute walk away. 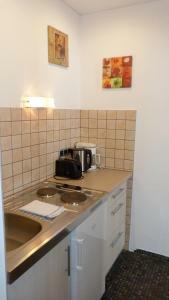 All rooms and apartments are air-conditioned and come with a private bathroom and free WiFi. When would you like to stay at Hotel Apartment Rothensteiner? 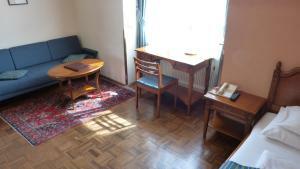 This spacious apartment has a bedroom and a combined bedroom/living room. It has luxurious furnishings, air conditioning, a kitchen, private bathroom and satellite TV. Free WiFi is available. This apartment has 2 bedrooms, a joint living room and bedroom, a kitchenette, satellite TV, and a bathroom. Free WiFi is available. 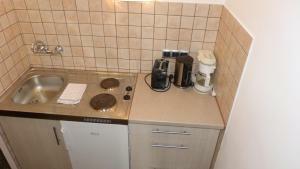 This single room features a electric kettle, seating area and kitchenware. Free WiFi is available. This double room features a toaster, seating area and kitchenette. Free WiFi is available. House Rules Hotel Apartment Rothensteiner takes special requests – add in the next step! Hotel Apartment Rothensteiner accepts these cards and reserves the right to temporarily hold an amount prior to arrival. The front desk is open from 7 am to 6 pm. If you arrive later, please inform the hotel about your check-in time one day in advance to get the entrance code. Beautiful decor. Great attention to detail. Room was big and comfortable. Location perfect. Loved this place. At the Hotel Apartment Rothensteiner you feel "home away from home". Supreme location. Extremely friendly and warmly welcoming staff, they certainly make you feel their special personal guest. Cleanliness is impeccable!!! The double bed is extra large and comfortable. Unforgettable ambience. We will definitely stay here again (we are regular Vienna visitors). 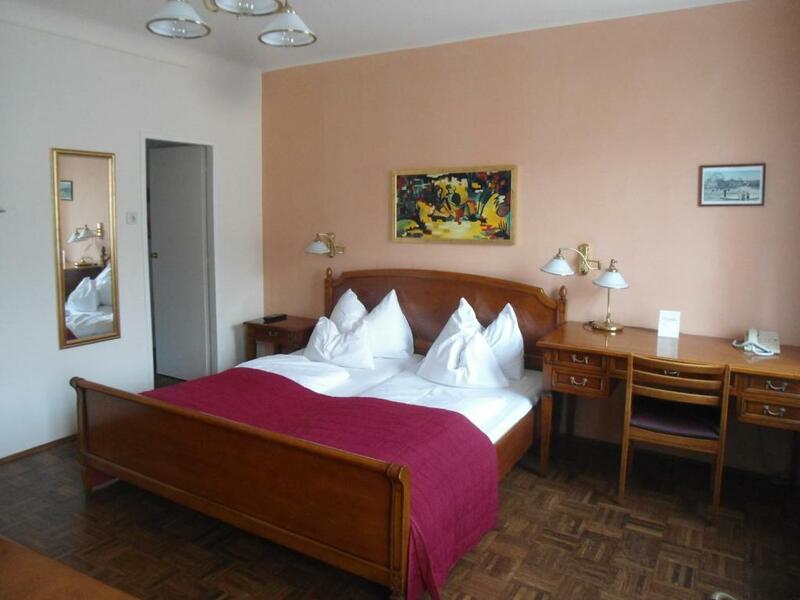 And most certainly we will recommend the Hotel Apartment Rothensteiner to friends! The shower and drain system needs to be upgraded. The shower flow is terribly small, the outflow in the basin is so small that it is almost impossible to use the basin. The room is spacious, like a studio flat. Essential facilities such as kettle are provided. Friendly staff and little Christmas touches! Next visit, I will pick a place a little closer to a tram station. Our room was looking on a very busy street, it was quite noisy at night. Completely new and clean bathroom. The only thing which wasn't to our linking was the fact that the room was connected to the other room through a door, there we could hear everything the neighbours did. The hotel has an elegant touch from the past, which was amazing. Very clean and the room had everything you need. The staff was also very friebdly and welcoming. Excellent accommodation in a stylish tenement, rooms and a bathroom spotless and spacious, Located within a walking distance from metro stations. Delicious breakfast and coffee, served by delectable ladies. I couldn't imagine a better place tostay! The mattress of the single bed could have been a bit more comfortable. There is a noisy street outside. With the double windows closed you don't hear to much of it, but in summer it can be a bit annoying. But there is also an airco, so maybe you don't need to open the windows. The rooms are so big and the ceilings are high, so there is enough air in the rooms. Very nice place in old Viennese style. It feels as if you live in a museum! All the corridors are nicely decorated with nostalgic items. We had an apartment with a big sleeping room and a living room with an extra bed. Everything was very spacious and nicely decorated. There was a nice little kitchen and to our surprise the personnel even had done the dishwashing for us. Location not very convenient. Need to walk 25-30 to main sightseeing area. Also, not that close to the nearest tube station. Nice decoration, very good-sized and clean room. 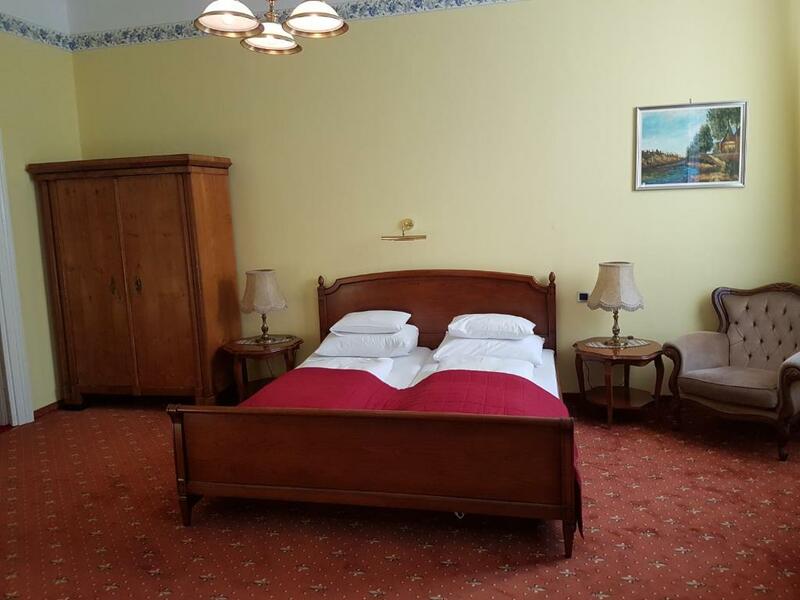 Spacious well equipped and tidy room, great location in the city centre and the ability to arrive at a later time after the reception is closed. Traffic was a bit noisy with windows open. Very nice and cosy place located just about right. It’s 10-15 min away from the down town (and from crowds of tourists too). Also, it’s 10-15 min walk to Neubaugasse metro where you find the main shopping area of Vienna. The hotel has a certain historic edge. With all these old furniture, pictures and stuff you first feel as if you all of the sudden got into Hercules Poirot movie. For those who love only minimalistic interiors it would be the pain. For all other should be a nice find, I guess. We didn’t opt for breakfast. Can’t evaluate it. But there are plenty of places out there in 5 min proximity where you can indulge yourself with good coffee, croissants or something. Some places are open even on Sunday morning. Believe me, it’s a big deal for Austria and Germany. Cutting long story short, give it a try and I’m sure you like it. The property is almost in the heart of the Vienna, walking distance to the main attraction areas. The staff is very friendly and the place is clean and quite.